So part of our job as writers is to do more than just write. We need to build our platforms and social media presence as well. And, like me, many of us host blogs. But if you’re anything like me, it can be short of torture sometimes trying to find subjects to write about. So my friend asked me on Facebook to write about how I find meaningful content to write about every week (at least I hope it’s meaningful content), so here’s my response. Social media. I spend a part of my free time reading up and researching different writing topics. Everything from outlining a novel or a series to characterization to editing. There’s so much to read and learn and I never want to stop learning craft. On Twitter I follow Writer’s Digest and K.M. Weiland who hosts “Helping Writers Become Authors.” Weiland has great material on a wide range of topics. Writer’s Digest does as well and also retweets other author’s articles. Another great thing about following them is they regularly update with agents looking for clients. Facebook is good for following other authors who may share different articles or blog posts from various sources. I am also a part of a few writing groups on Facebook. This gives me another source for articles as well as author friends to follow. One group I am in is purely educational and I learn a lot from it. I suggest joining writing groups and see which ones work for you. My primary source is Pinterest. I love that you can search for specific topics and also that when you click on a pin, you are shown related pins. I’ve found many great topics to write on from browsing Pinterest as well as different points of view. This allows me to see which tips are consistent. Pinterest is great for brainstorming topics as well as researching them to write articles. I definitely find some great stuff on Pinterest. Well that’s my methods for finding meaningful content. Keep your eyes open on social media and you’ll find lots of ideas you can use. What’s your preferred method? Share below and happy writing. A lot of books nowadays are part of a series. And we love to revisit our favorite characters and story worlds again. But there’s so much to keep track of and weave together to tell our series in the best way we can. So how do we manage this? By outlining and planning for our series. Even if you’re a punster (one who flies by the seat of his pants when writing), you’ll still benefit from knowing the major plot points you will hit and the ending of your series. It gives you something to write towards and keeps all the subplots straight in your head. This goes double for series, which are way more complicated than standalone novels. So some planning and outlining is crucial to our success. This doesn’t have to be super detailed down to each scene for each book, but major plot beats should be mapped out to make sure you have enough story for each book. You do not want your book to be crammed full of filler and a stretched-thin plot. Every scene should move the story forward, not just take up space. So how do we outline for a series? By looking at the overall arc for each book and the overall story put together. The series will have a story goal or story problem to be solved by the end. For example, in the Lord of the Rings it’s destroying the one ring. So you know it will be figured out by the climax of the final book of your series. You also know you’ll have a dark moment in the middle of the series where things may seem impossible for the protagonist to solve. Pay attention to your series story arc as well as for each book. Plot out each major plot points for each book as well as the highs and lows for the series. Get the overall picture for your series arc. Plot out your character arcs for each major character as well. Who has a positive character arc and who has a negative one? Where does each main character end up in each book as well as at the end of the series? How do the character arcs interact with each other and the major plot beats? Keep track of your subplots and weave them all together. Some subplots will be resolved as individual books end while others will run throughout your series. But they should all be resolved in the end. Make sure enough subplots are being resolved in each book to keep your readers satisfied and enough run through the whole series to tie all the books together. Thematic threads should be found in each book. Planning ahead can make sure your series is as complex and well developed as possible. How do you outline for your series? Share below and happy writing. Well, federal holidays count and there’s good reason to celebrate the life of Dr. Martin Luther King Jr. today, so I thought I’d do a general update today. 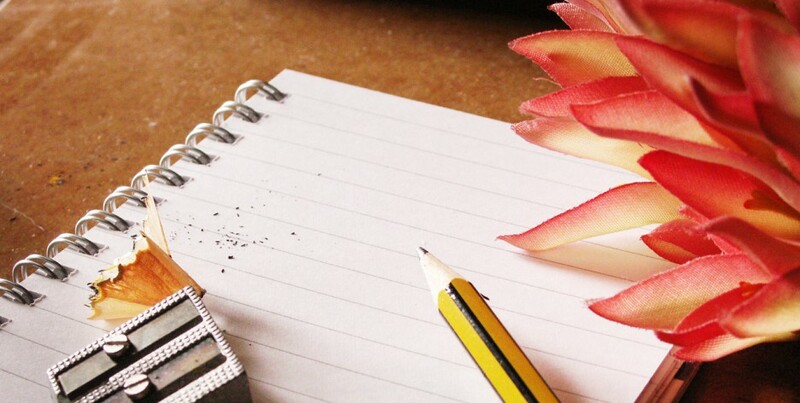 With the start of the new year just behind us, I am conscious of my writing habits and goals. I am not a resolutions type of gal, but I do want to make some changes to my writing life and be more productive this 2017. If you’re looking for a good list of things to do without doing resolutions, check out this list here. As far as my WiP goes, it is at the editor’s for round two. He’s about halfway through edits and I eagerly await him finishing. I did some major revising after round one and have been told he’s pleased with how much the manuscript has grown since he’s last seen it. That doesn’t mean no more changes, it definitely still needs more work. I’d be shocked if it didn’t, but it’s good to know it’s nearing its final draft. I am attending a writer’s conference in March and will be pitching my WiP to four agents. I have started writing my blurb, but still have to perfect it as well as begin my synopsis. I will also need to do more research on each agent I will meet before I go. I’ve done some preliminary research to choose which ones I will pitch to, but I will do more. I will also demonstrate that I have done this research when I meet these agents. It’s important to do. And I will update you all on the conference once it happens. In the meantime I am trying to work on the sequel to my WiP. I say trying because it hasn’t been flowing for me when I sit down to write my first draft. I do have some chapters done, but I think I need to revisit the planning, brainstorming, and outlining part. I did some of this, but I realize now it wasn’t enough. I just need to find the mental place to sit down and do so. My goal is to get it done sometime this month. It’s good to give myself working deadlines. That way I don’t panic, but I don’t procrastinate too much either. I have a couple ideas for short stories I want to write for different anthologies that are forthcoming. And those are my projects that I’m working on now. I find short stories are harder to write than longer pieces, so send positive energies my way that I’ll finish them. What are you working on? What are your goals for 2017? Share below and happy writing! Metaphor, simile, alliteration, symbolism, personification, these literary devices and techniques can be found in both poetry and prose, and in both fiction and nonfiction. The function of figurative language is to help the reader experience the emotion and see the imagery the writer intends. They help the reader understand what the writer meant to express. The words do not convey literal meanings, but make connections between concepts. Today, let’s look at a few literary devices. Now let’s look at some examples of each. Imagery- The blue sky deepened, darker around the edges of the conifers that lined the horizon with stick-straight spines. Their evergreen needles were so dark they looked black in the distance. And closer to me, in the halo of a streetlamp, the skeleton of a tree laced in white light, stretching itself into the night. Symbolism- She held her pen loftily. The ink held the perfect combination of words and letters to unleash her thoughts upon the page. She twirled the magnificence between her fingers, contemplating its powers. Here the pen represents the power of language to express ourselves. Personification- Her purse yawned its mouth open to swallow her wallet. A purse doesn’t have a mouth, nor can it yawn or swallow. Now these are by all means not the only literary devices. You can add depth to your writing by employing these devices, so begin to study how you can apply these to your writing today. What is your favorite literary device? Share below and happy writing. Besides the protagonist, several other characters feature in our stories, as they should. What would our tale be without the antagonist? Certainly it would fall flat with no conflict. But supporting characters can be complicated. For instance, how do we know when to give one a sub plot or a story arc? How do we recognize other major players? Maybe they’re a viewpoint character that features a POV from their perspective. Either way they get page time either along with or separate from the protagonist. Most importantly, their goals and actions affect the plot and move the story forward. So what do these major players need? First, they must have a goal, a desire to work towards. Give them a goal and a plan of action for getting it. Of course you need conflict though, so they won’t all be getting their way. Still you need to figure out what they want and why. (You won’t necessarily need to know the why for minor characters, but you will for these guys). A lot of these goals will be in conflict with the protagonist and that’s a good thing. What motivates these characters? What do they believe in? This is at the heart of why they’re doing what they’re doing. This will beautifully thicken the layers of your characters and make them more complex, so give them a why as well. On top of goals, your other major characters need to have a flaw. This could come from what they believe that may not be true, but they need a flaw that affects their actions. This could be an inner flaw, likes self-doubt that keeps a character from acting, or an external flaw, like a controlling mother that directs a character’s actions. Both of these flaws affect more than the character who exhibits them. The next layer of characters you’ll have is your minor characters. These guys get little page time and may not even have speaking roles. But they’re important because they people your world. Without them your stage is empty and deserted and your world is hollow. These are not POV characters, even if they are recurring characters. And they do not get their own sub plots. And yes, at some point we have to stop giving characters backstories. If your minor characters do, use it to write the story but do not include it in the story. Extras just get mentioned by one characteristic as part of the setting, like the boy in the red hat or the old man with the paper. Giving these minor characters too much depth erroneously makes them seem important enough to take note of. Don’t waste your reader’s time. You want your story to be complex, but also concise and clear. Choosing your major characters will come down to theme as well. Whether it’s as a foil to your protagonist or to show a different aspect of your theme. So if your theme is having self-confidence, one of your major characters might be a cocky jerk who always has to be right. But you never want to overpower your story with even a major character’s arc. The story is about your protagonist at the end of it. All this should help you navigate the world of supporting characters. How do you choose your other major players? Share below and happy writing!